as you can see from photo no. 3, it was VERY windy this day! i thought i'd throw that shockingly bad photo in there just for some lols. i purposely wore my flounciest top to make the photos a bit more interesting. i'm really loving sheer things right now. as for this top, it was in the topshop sale and despite it being really not 'me', i thought why not try something different. i quite like it, but it was super difficult trying to find something to wear with it. That skirt looks perfect with that blouse! I love have billowy it is. haha. I love the blouse, very free and it looks very comfortable. I love the wind and I think the photos wouldn't be complete without them. I love love the top! Such pretty bell-styled sleeves on that blouse, very lovely. And it has such a demure print as well. So cute how you paired it with the full jean skirt. I have the same one from Asos, and I love it on you. That blouse is so beautiful and goes perfectly with that skirt! Love the entire outfit! it's a cute top... but i like your other stuff better. although you can make anything look gorgeous! I wish there was a topshop in little wee Christchurch, because your blouse is super gorgeous! 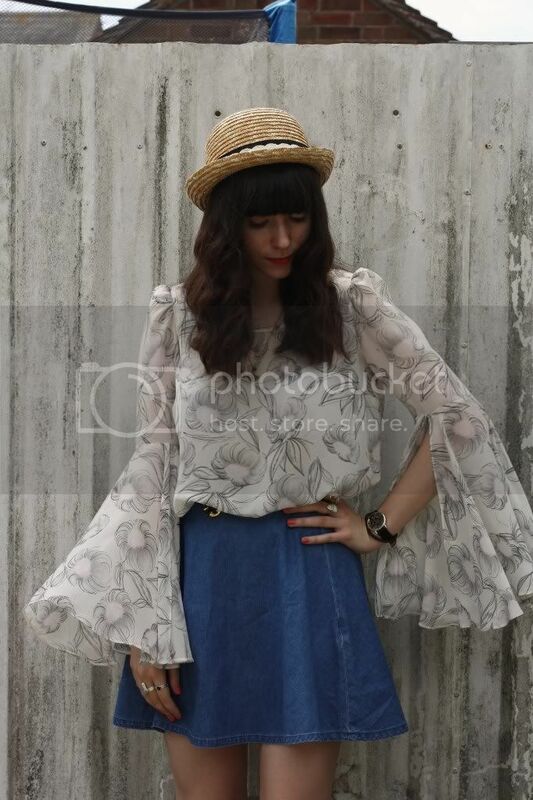 the silhouette of that skirt is so cute and i love the sleeves to the top! Wow! 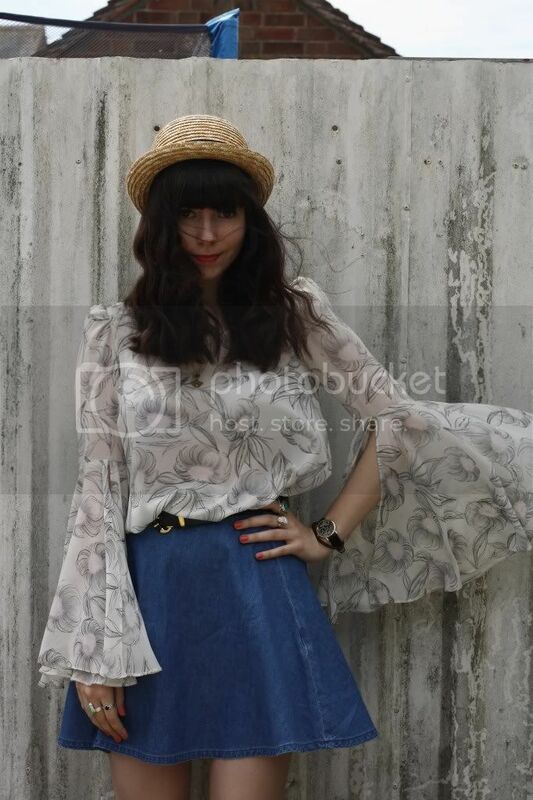 The blouse is awesome!Look at those sleeves!And I eas searching for such hat for ages! You're so classy, I totally love your style and the way you present yourself in pictures. So elegant.